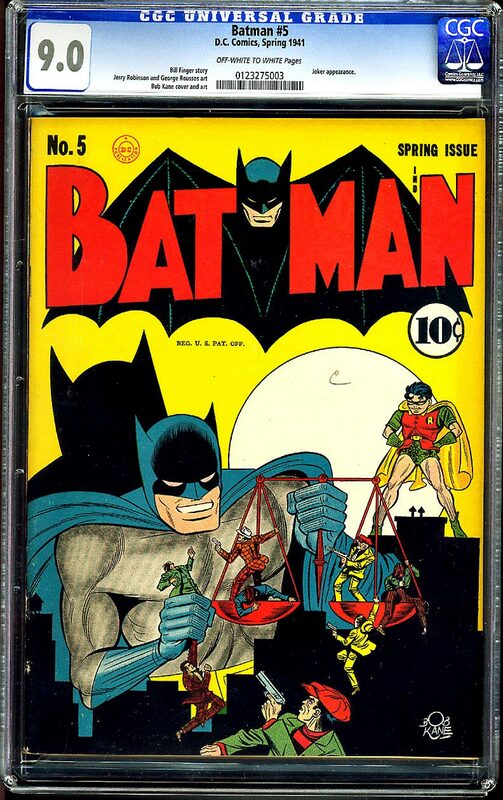 Batman, Superman, Flash cameo; Last Hourman; Doiby Dickles app. Overstreet 2007 VF/NM 9.0 value = $3,726; NM- 9.2 value = $5,300. 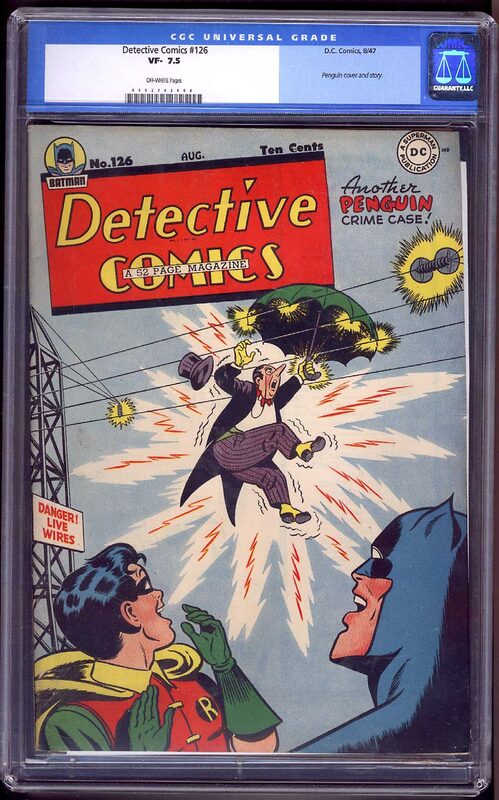 Comparable sales: Just a tad below the highest graded copy at CGC 9.2, which last sold for $4,255 three years ago! 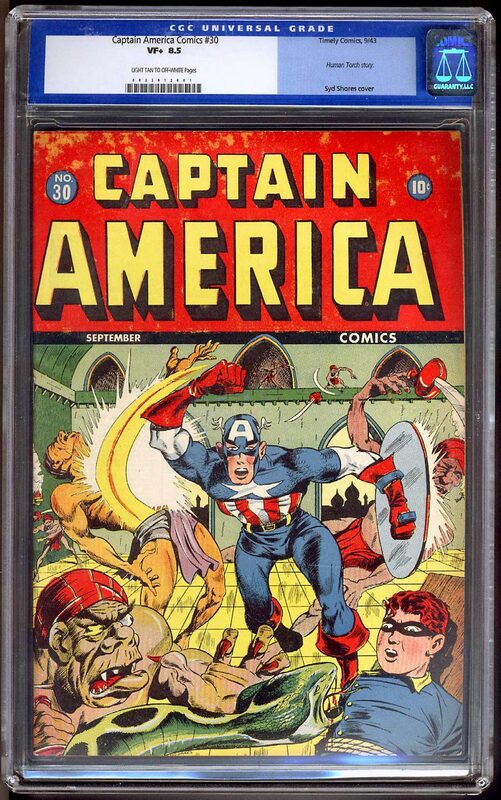 Another CGC 9.0 copy sold two years ago for $3,254. 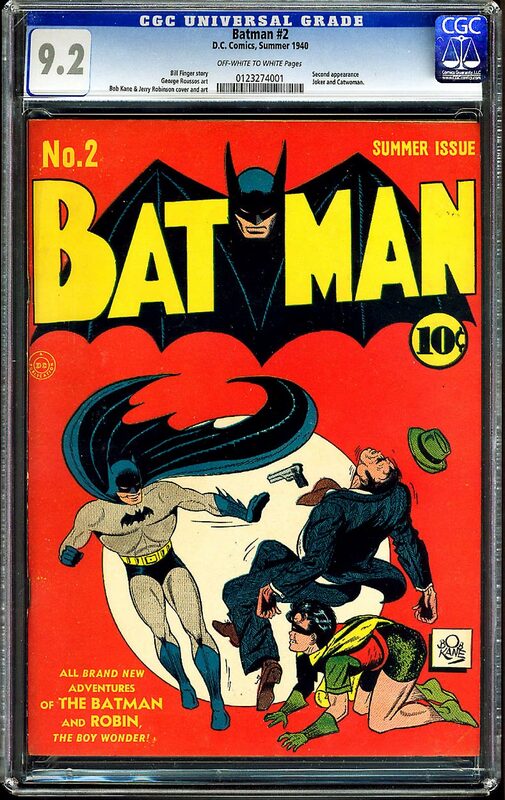 In the Mastro Auction of August 16, 2006, a CGC 9.0 copy received a high bid of nearly $3,200 but failed to meet an unknown reserve. Origin retold; ranked 55th out of 100 Top Golden Age Age book by the Overstreet Comic Book Price Guide. A copy with lower quality Cream to Off-White pages was sold by Heritage Auctions on August, 9, 2006, for $9,337.50, and then on May 4, 2007, for $8,962.50. Another copy just sold on February 26, 2009, also with Cream to Off-White pages but also with some dried glue on the cover, for $8,365.00. To some collectors, the PQ means everything. Up to you! THIS COPY IS PRICED AT BELOW GUIDE! First appearance of the Space Phantom. Overstreet 2005 VF 8.0 value = $510. 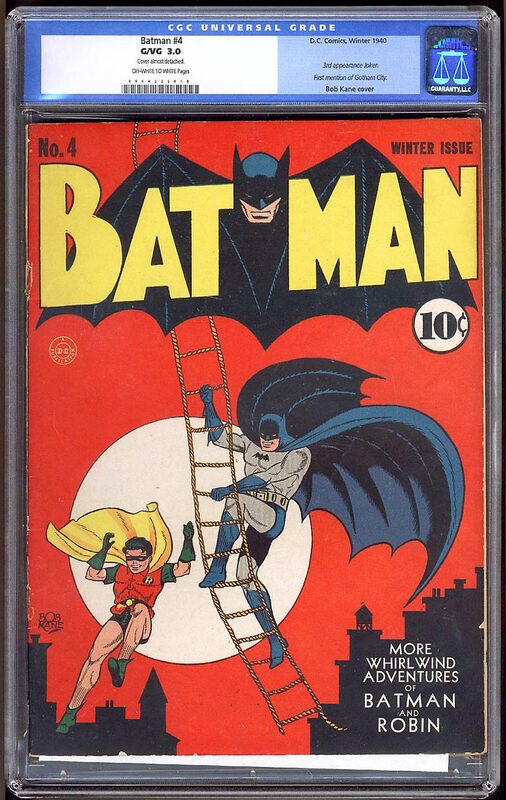 If you're looking for an issue of Batman that displays both a cover and interior art from Mr. Kane, your search is restricted to issues #1 through #5. 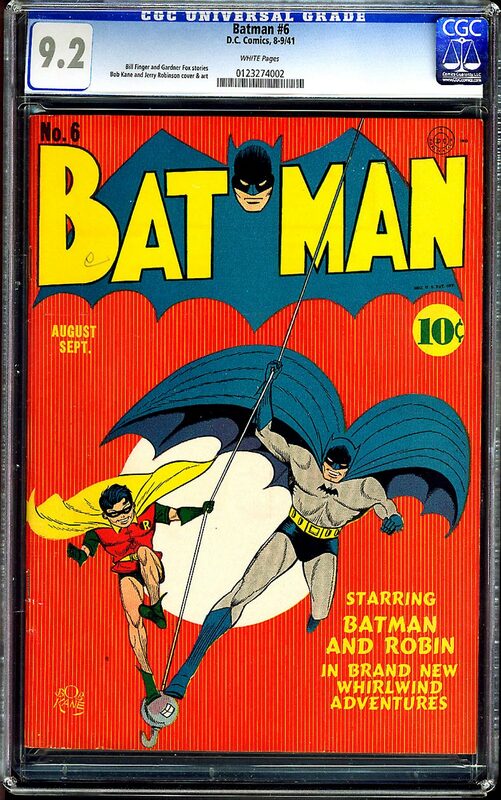 Between the covers of this issue you will find the second appearances of the Joker and Catwoman. Ranked 58th out of 100 Top Golden Age Age book by Overstreet. If you want to own the highest certified copy, then look no further!!!! It just does not get better than this beautiful copy! Overstreet 2005 NM- value = $21,000. Just four copies have achieved a higher grade than this 65 year book! Overstreet 2006 VF/NM 9.0 value = $5,840; NM- 9.2 value = $8,200. Two copies of this beautiful book exist in a higher grade, but no doubt that won't stop someone from desiring this copy for their collection! Overstreet 2006 NM- 9.2 value = $7,000. 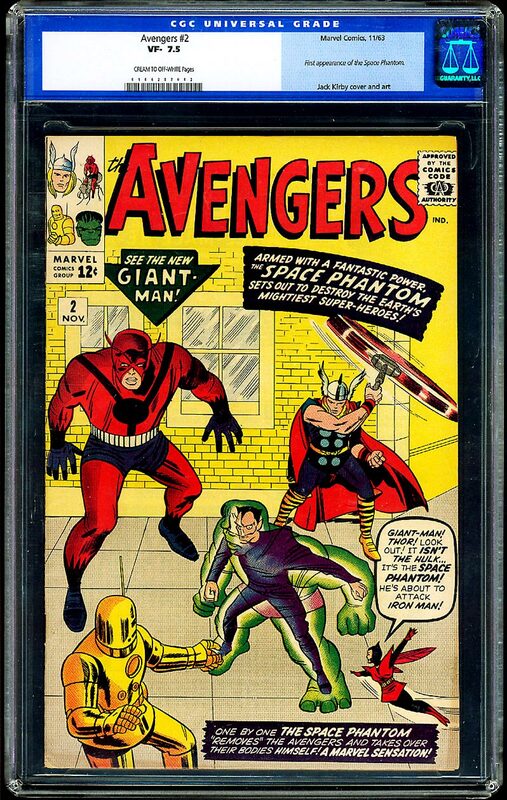 RECENT RELATED SALES: CGC 9.6 Allentown copy sold for $27,600.00 in May 2005. 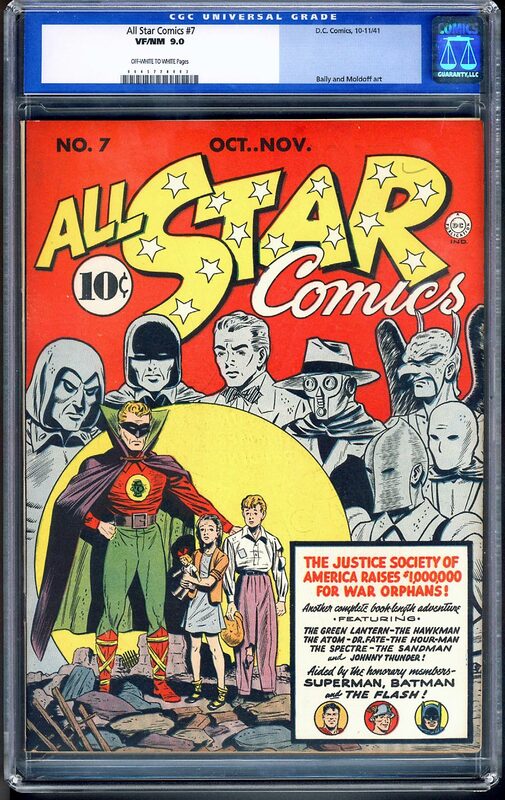 Not only does this book features many of the classic GA superheros. 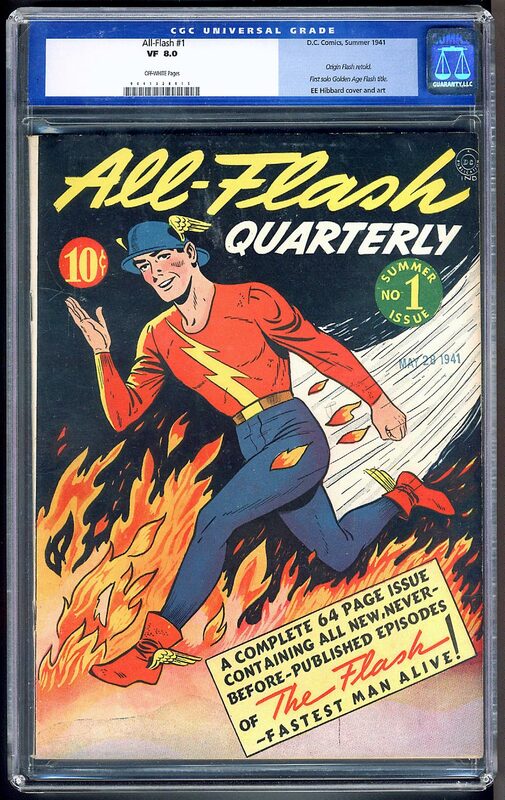 The Flash, Green Lantern, Wonder Woman, Wildcat, The Black Pirate by Moldoff, but it is the highest graded copy in existence! 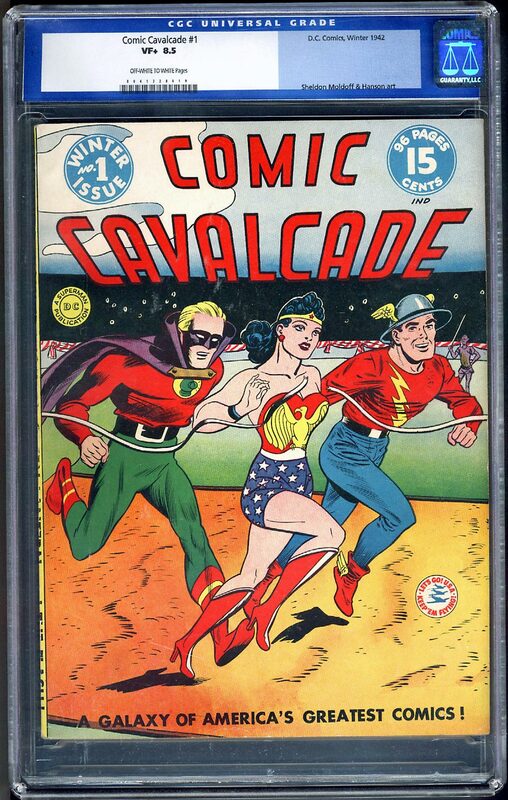 It is also just shy of being within the Top 100 Golden Age books according to the Overstreet Price Guide. Overstreet 2005 VF 8.0 value = $6,545; VF/NM 9.0 value = $10,523.